NOTE: This program is currently on hold and is no longer accepting applications. 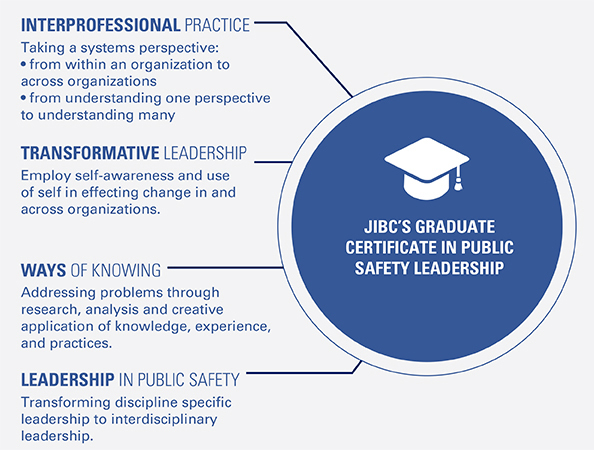 Justice Institute of British Columbia (JIBC) has launched a new program for experienced public safety professionals who want to become more effective and resilient leaders in their field. The new, fully online Graduate Certificate in Public Safety Leadership (GCPSL) will give public safety professionals from around the world the valuable opportunity to analyze, evaluate and develop strategies to address the personal and organizational impact of critical issues and trends in public safety leadership. This part-time, program can be completed in 16 months, allowing public safety professionals to serve their community and complete their professional development goals at the same time. Beyond simply learning theory, the program incorporates and builds upon a students’ own professional experience in the field. Together with experienced instructors and other public safety professionals in their class, students will explore complex issues from various perspectives, and learn from each other’s unique, hands-on, real-life experiences. 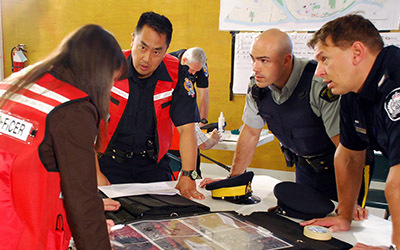 The program is open to professionals in Canada, the U.S., and around the world serving in various public safety agencies, including those in law enforcement, the fire service, paramedicine, allied health, corrections, sheriffs, court services, emergency management, social work and counselling. For more information about the program, visit the Graduate Certificate in Public Safety Leadership webpage.